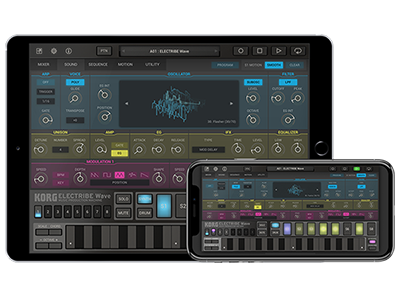 The ease of use, accessibility, sound and musicality of the ELECTRIBE reach new heights in this latest software version which features a powerful wavetable sound source, a “Quick Input” sequencer and a convenient chord pad that allows you to play a chord with one finger. Even if you aren't a musical virtuoso, with ELECTRIBE Wave you can create state-of-the-art dance music like EDM, Future Bass, and Trap. In celebration of the new ELECTRIBE Wave, we are now offering a limited-time 33% off sale. Don’t miss this great opportunity to get ELECTRIBE Wave so you can easily create your own state-of-the-art dance music. Sale ends September 30, 2018. Aug 27, (Monday) 2018. - Sept 30, (Sunday) 2018. Home News The next evolution in music software. 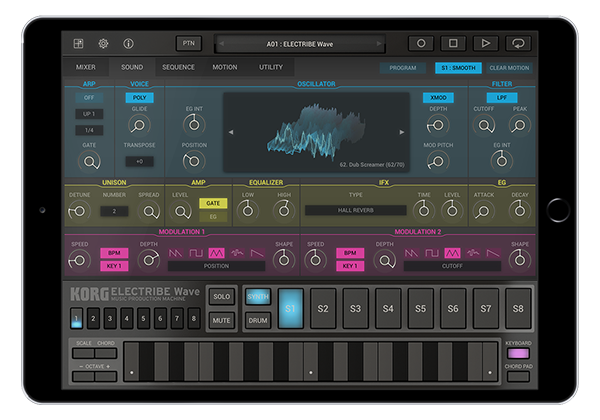 Produce state-of-the-art dance music: KORG ELECTRIBE Wave is now available! Sale now on - for a Limited Time only!